John 20: 19 Then, the same day at evening, being the first day of the week, when the doors were shut where the disciples were assembled,[c] for fear of the Jews, Jesus came and stood in the midst, and said to them, “Peace be with you.” 20 When He had said this, He showed them His hands and His side. Then the disciples were glad when they saw the Lord. This Resurrection Morning brings freshness to my soul. Due to some incredible betrayals and organizational insensitivities last year found me looking for new answers. I did not find any new answers. The old ones are just great. Life is fresh. Life is full. Friendships are plenteous. Family is solid. 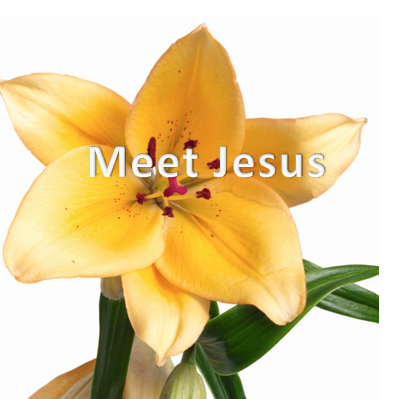 My Good Friend, Jesus, continues walking with me along this narrowed and interesting path. When Jesus’ closest allies thought they had been left alone, he met them fresh and alive with peace, forgiveness, appointment, empowerment, and a gift of His own Spirit to sustain. That is resurrection. So I wrote my prayer in poetry and reflection. Find hope in here. Find a new day. Find a resurrection. Morte had me in his sights. Death narrowed his focus to take my life. My soul was ripped in many pieces. The stench of death is potent. There were friends and fiends. Those for whom I had labored turned on me. They had been made rich and prosperous. Yet, their greed was too large for their souls. Blackened in greed and jealousy, they turned fangs to my throat. I escaped to the caves. I fled to the crag of the rock. The Creator met me there. For months we talked and cried. He molded a new man. He made something different something new. Strong steel has been woven into my forehead. Titanium plates are fastened all about. The pain is Passed Over. Death has lost and met only blood on my doorpost. Today I walk out of the cave. Today I walk into the streets with the riches of my enemies. That which they meant to destroy has become my strong armor. Their weapons have not met with success. My Friend has come for me and taken my punishment. That’s what Friend can do. Mi Buen Amigo. My Good Friend. He has surrounded me with angels. He has surrounded me with hosts of friends. He has surrounded me with those that support me. That is what Friend does. He brings a resurrected morning. 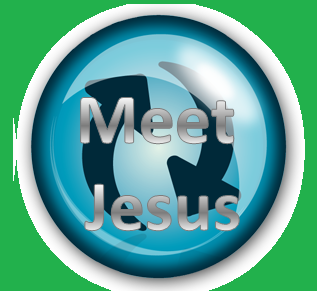 Matthew 4: 17: From that time Jesus began to preach, and to say, Repent: for the kingdom of heaven is at hand. 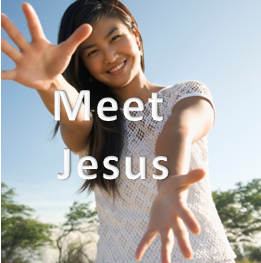 Meeting Jesus is so easy. He is near at hand. When Jesus declares the kingdom, it is His kingdom. Access to Him and all He is is as close as your hand. Your hand is attached. His kingdom is attached. Access to Him is attached to you. He is not a distant God. He is an ever-present, ever-available King. Turn around. He is near at hand. Jesus is near at hand in us to others. Brad was talking to his friend at work. For many months this friend had been disconnected from fellowship in a congregation. Sure, they went to church. Sure, they talked to other Christians. But they really were not in fellowship. They were not in real communion heart to heart with other Christians. Brad challenged the friend. Brad encouraged them to reconnect with some kingdom friends. Brad was being Jesus, declaring the love of the kingdom. ACT! 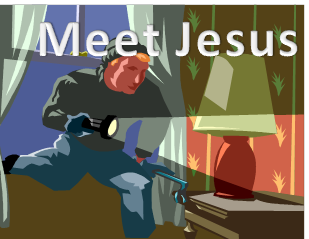 What could be keeping you from meeting with Jesus? Turn away from it. Turn to Him. He is exactly at hand. PRAY! Father, I turn from my way to Jesus’ kingdom. I turn from my thoughts to Jesus’ kingdom. I turn from my ideas to Jesus’ kingdom. Let Him be near at hand to me. Work in me to remove any block to receiving Jesus’ kingdom near at hand. I loved this perspective on another blog…. Matthew 4: 14: That it might be fulfilled which was spoken by Esaias the prophet, saying, 15: The land of Zabulon, and the land of Nephthalim, by the way of the sea, beyond Jordan, Galilee of the Gentiles; 16: The people which sat in darkness saw great light; and to them which sat in the region and shadow of death light is sprung up. Too many times in life we live in the shadow and region of death. Darkness surrounds us in our minds in hearts. Meeting with Jesus means meeting with light. His light dispels the shadows and puts us in a bright place. When Jesus is on the scene, there is a springing up of light. That is active. That is powerful. Darkness causes us to sit and be inactive. Jesus springs with activity and light to get us back into motion. Death is brown. It is the refraction of light that lets us see color. His light brings back color. The prayers of the saints for each other are wonderful. Struggling with many trials can get old and cold. When another saint sees and takes prayerful action, it is a blessing. It brings light to a dark situation. That happened to me recently. As I worked through many items for others, other saints prayed for me. The light of that prayer sustained me so I could sustain others in their hard moments. It all works together. ACT! Describe a place of hurt and pain to Jesus. Imagine what it would be like in that spot with bright, brilliant light shining all over and colorful plants growing all around. PRAY! Father, there are areas of my life that need light. I have given up on anything other than death and despair in that room of my heart. Give me the courage to let Jesus meet me in that room. Surely, He will bring light and color back to my darkness. Bad news can put a hard spin on life. Each of us has places to go and things to do. Jesus is no different. John was Jesus’ cousin. He was the first recorded to rejoice at the coming King. He leapt in his mother’s womb when Mary approached for a visit. No one knew Jesus was coming. John knew. That is an early praise. John prepared people for the coming of Jesus. He was ahead of Him getting the people ready. News about John in prison was not good for Jesus. Scripture doesn’t say why he went to Galilee. Knowing the affinity Jesus had for John and the respect He had for him, it seems he needed time away to sort it out. He went where it was quiet and familiar. He went away. He did not despair. He did not become discouraged. He met the news with an action plan. He kept His confidence and went to people He knew. This scripture coming up today is interesting. All week I have been taking in good news in multiple areas. Sometimes much good news can be as stressful as bad news. Family, friends, work, community, and other areas have been full of blessed news. The consulting business is prospering. The work on fathering is prospering. Many people want to meet and talk. At the same time, this coming week, I have some time away to write and reflect. I’ll be in my quiet spot at the lake. It is timely to go sort out the news and make plans. God is faithful. He gives us space. ACT! Bad news? Much good news? How did you respond? Did you respond with faith and joy in Christ? Do you need time to sort out the next steps? Let Him give you a respite. He is faithful. It may only be a few minutes or a few hours, but He is faithful. He will not push you beyond His ability in you. PRAY! Father, it is comforting to know You care so much for me. In the middle of the tempest, You cover. In the face of bad news, You allow a breath to come to take it in. How can I thank You enough? Help me to face every bad news with joy and confidence in Your provision. Help me to absorb the punches of life with joy and family and friends. Matthew 4:9: And saith unto him, All these things will I give thee, if thou wilt fall down and worship me. 10: Then saith Jesus unto him, Get thee hence, Satan: for it is written, Thou shalt worship the Lord thy God, and him only shalt thou serve. 11: Then the devil leaveth him, and, behold, angels came and ministered unto him. Angels minister to Jesus, and so should we minister to Jesus with our worship. In Paul’s letter to the Romans he talks of a reasonable or rational service and worship done with presenting our bodies as living sacrifices. This is our pleasure and our part. Our worship of Jesus is to serve Him, to present ourselves totally to His selection for our life. Satan had it backwards. He forgot who was to serve whom. Josue was determined to follow God this day. Lately, he had been wandering from his relationship with Christ. Over and over events just did not seem to go his way. Something he had read before was now stirring in him. There was something about praising God in everything. He was ready to try it. He was ready to try anything that would restore the warmth of the love of Jesus back in him. As he lifted his voice in the quiet of his room late that night, something broke. He began to weep. He began to praise God out loud. He began to know again the reassurance of the presence of the Holy Spirit. ACT! 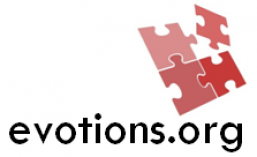 Where does Jesus need your active worship? Take action this week on worshipping with real action where He needs you to serve another in the kingdom. PRAY! Father, Jesus is the center of my worshipful services. Help me connect with the right actions for which You created me. I was created in Jesus for good works of worship done unto You. Enable me, Father, to find those works for which You created me and act on them. Matthew 4:6 And saith unto him, If thou be the Son of God, cast thyself down: for it is written, He shall give his angels charge concerning thee: and in their hands they shall bear thee up, lest at any time thou dash thy foot against a stone. :7 Jesus said unto him, It is written again, Thou shalt not tempt the Lord thy God. 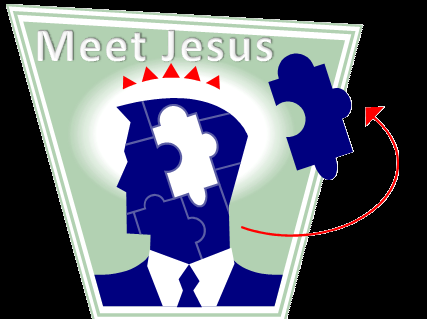 Satan had trouble with meeting Jesus. His intent was to trick him and cause Him to slip. He met his match. He met the Lord, God. 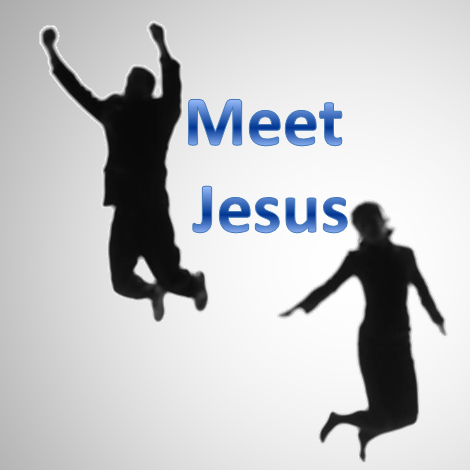 Meeting Jesus means meeting the Lord, God. His is able and willing to deal with any situation. He is Lord. Stuff trys to put us down. Stuff trys to break our spirit. Stuff trys to rob our joy. Jesus is joy. His kingdom is righteousness, joy, and peace in the Holy Spirit. With success after success, lately, Prince had defeat after defeat. No one wanted to work with him. They were envious and defeatist. Somewhere from deep inside, he summoned up some joy. “Good gracious”, he declared aloud. “If no one will walk with me, then I will walk alone. They can follow, can’t they?” Those thoughts seemed good. His smile came back. He took charge of his life again. He began to work out issues and others joined with him. Sometimes you just have to rob the joy back to get going again. ACT! Bow to the Lord. Give up. 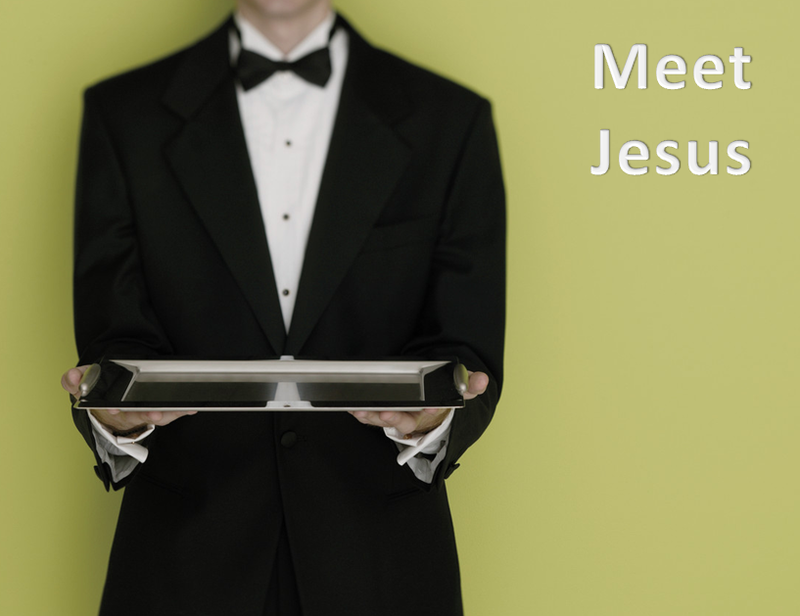 Meet Him on terms of surrender. PRAY! Father, I give myself to the Lord, Jesus. He is Lord. Every knee shall bow and every tongue confess that Jesus is Lord. I surrender to His love and mercy and Lordship. I surrender to His joy that is unspeakable and full of glory.